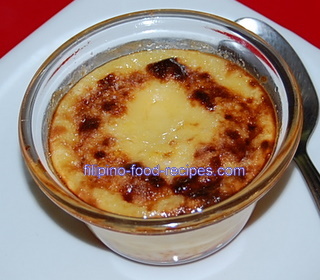 Leche Flan is a creamy custard with caramelized sugar top. Filipino leche flan recipe uses both evaporated and condensed canned milks aside from the usual ingredient of eggs, sugar and vanilla. 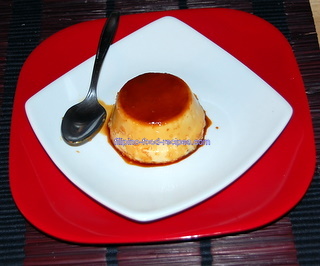 The dessert Flan, also known as Caramel Creme, is of Spanish origin. It is quite popular in South and Central America and done just like our Flan. Traditionally, a llanera, which is an oval shaped aluminum tin pan is used. The custard is flavored with vanilla extract or lime/lemon zest, then cooked in a steamer on the stove top or in a bain-marie inside the oven. Caramelized sugar or arnibal is first made at the bottom of the pan before pouring in the custard mixture. This process gives the custard the caramelized top because it is flipped like an upside down cake when served. 1 Mix all the ingredients together, except the 1/3 cup sugar for the arnibal. Set aside. Divide the sugar between 2 pans or llanera. Hold the pan by the side using a pair of tongs and swirl it over stove top burner to melt the sugar. Continue swirling the pan to make the melted sugar cover the bottom evenly. The color should be reddish brown. Be careful not to burn it. 3 Strain and pour the custard mixture on the caramelized pan. 4 Cook in a steamer for 20-25 minutes, or until the top is firm. 5 Cool and refrigerate before serving. 6 To serve, loosen the sides and flip over on a serving plate. You can test the custard if it is done by inserting a toothpick at the center and it should come out clean. 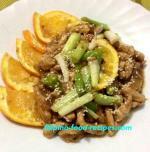 Substitute lime or lemon zest instead of vanilla extract for a nice fresh lemon flavor. If you have a butane torch, caramelizing sugar can be much easier to do. A butane torch is just like a blow torch but it's specifically for kitchen use -- then call it Creme Brulee.